Informace o označování potravin (např. přísady, alergeny atd.) vám rádi poskytneme v pracovní dny v 8.00 - 21.00 hodin na telefonním čísle 228 885 842. 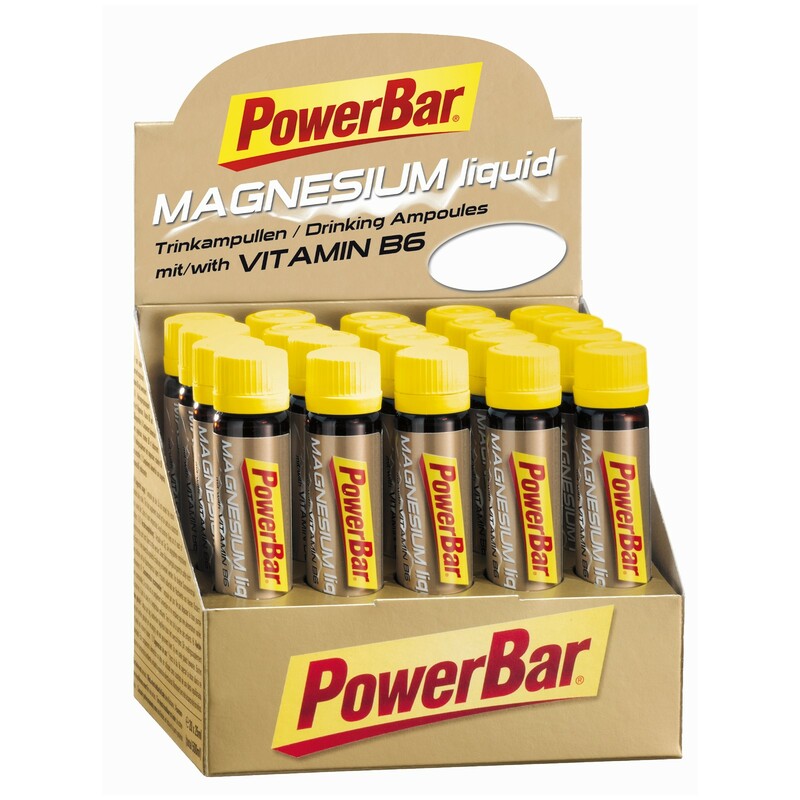 Ingredients: water, magnesium citrate, orange juice concentrate, acidifier: citric acid, preservative: potassium sorbate, sweetener (sodium cyclamate, acesulfame K, saccharin sodium), flavour, vitamin B6. Further information regarding nutritional information, ingredients, recommended storage and intake can be found in the PDF document for this product. As sportsman you set ambitious targets and wish to tap you full potential. Effective training is an important part for success for stamina and strength athletes. 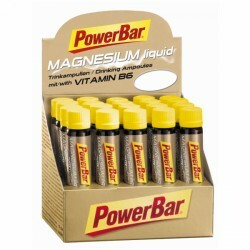 Powerbar Magnesium Liquid is a nutritional supplement with magnesium and vitamin B6 in a practical ampoule. Lo compré para no acalambrarme en salidas largas en bici y a mí me funciona. Me tomo uno al día y al ser liquido la ingesta es mucho más fácil. Seguiré con él. Schneller Aufnahme nach dem Sport. Geschmack Ok.
Evolution of Bodybuilding - The film (DVD) Rychlé dodání!